1841-1891 On exhibit in the Murrin Gallery. Walsh Library lobby level. 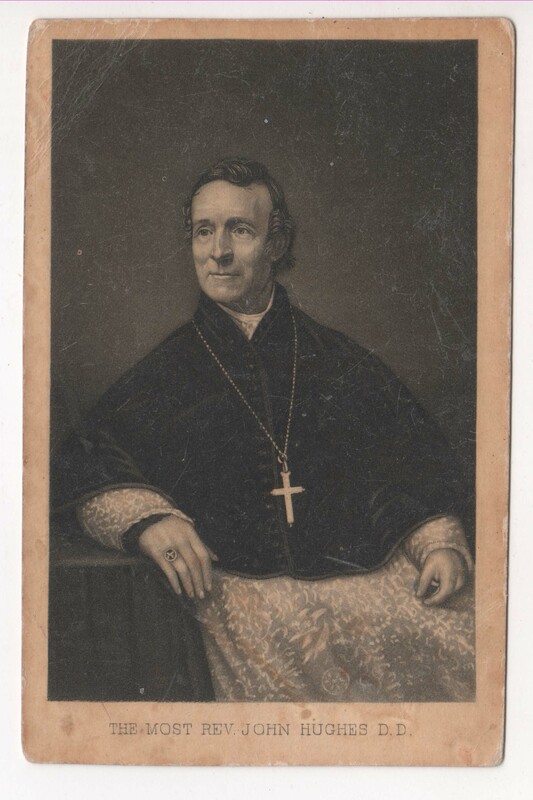 In 1839, John Hughes, the 42 year old Irish born bishop of Ne w York purchased a 106 acre farm for $29,750. 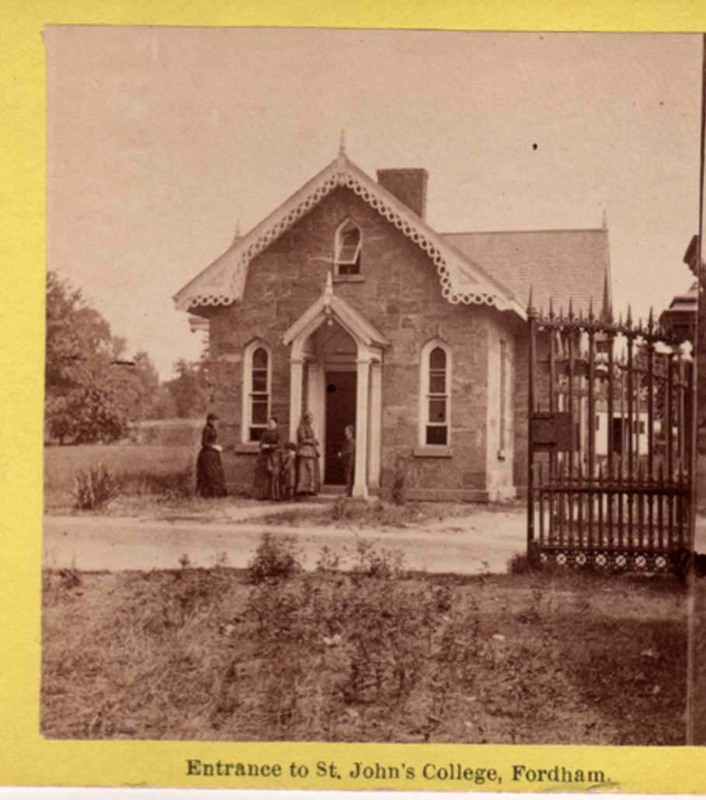 He was determined to establish a college and seminary in New York. 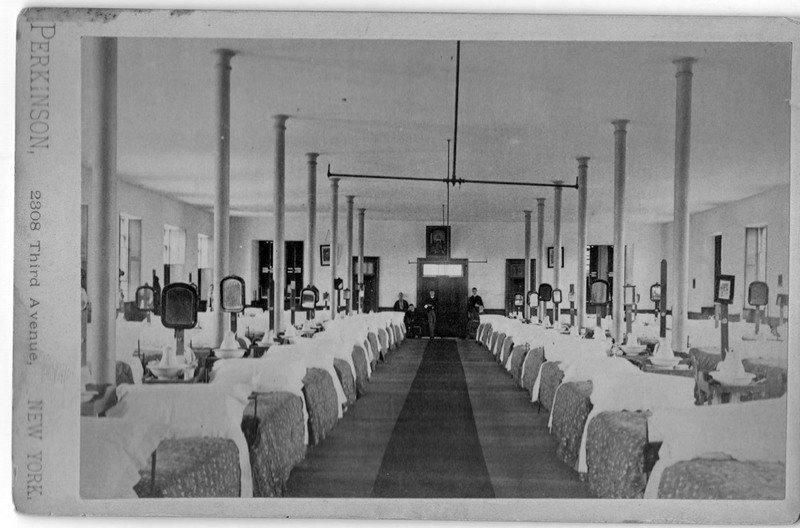 In 1840 St Joseph's Seminary opens at Rose Hill. 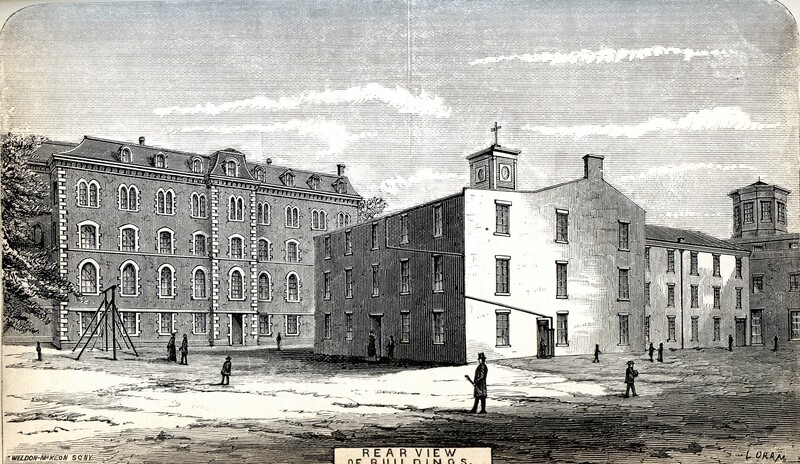 St. John's College opens one year later on June 24, 1841. Administration, now known as Cunniffe House in the 1870's. Front and rear views. 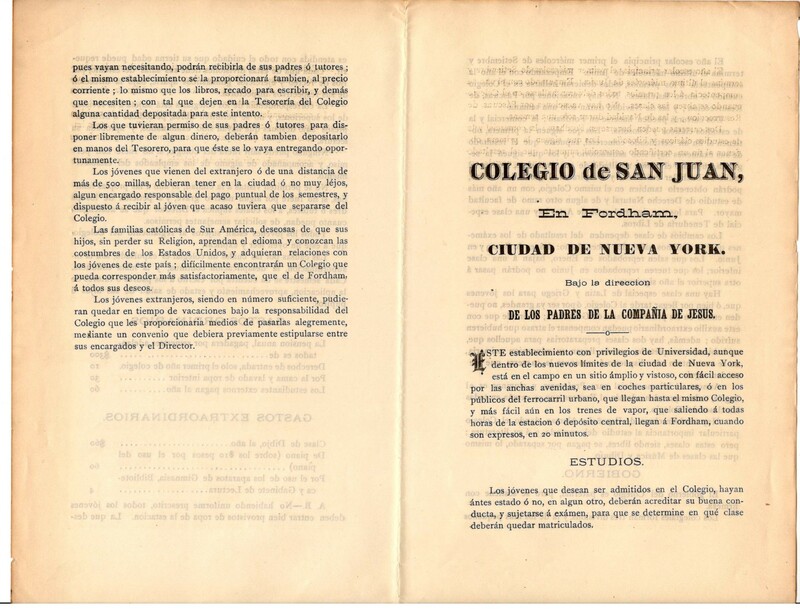 Ad for Fordham College written in Spanish and circa 1880's. Out of approximately 230 students attending college at this time, 33 of them were from Spanish speaking countries. 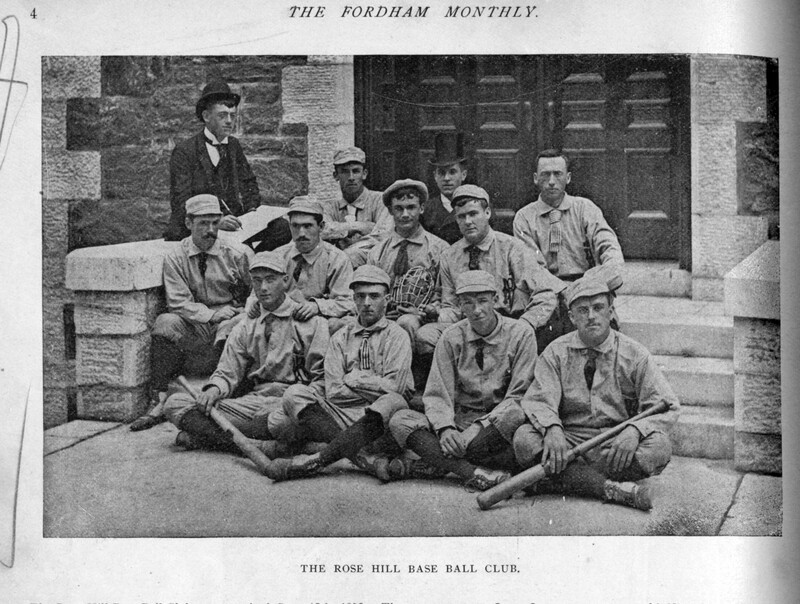 The Fordham Rose Hills played the first ever nine man team college baseball game against St Francis Xavier College on November 3, 1859. 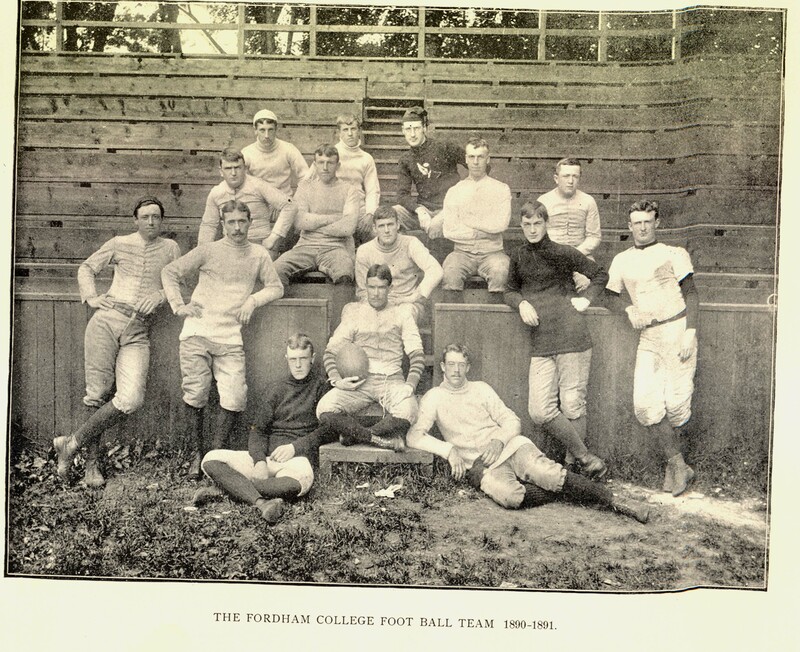 Fordham won 33-11. 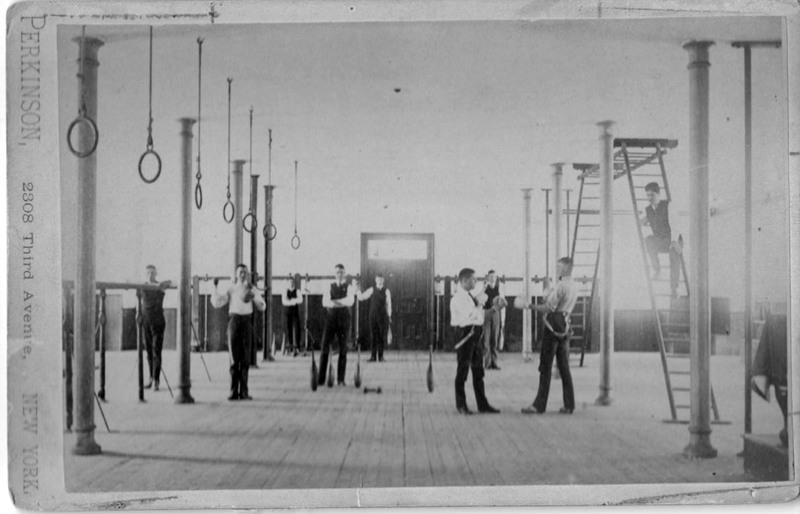 Football was organized in 1881 but it would be two more years before the first intercollegiate match was played in 1883. Both games were played with Seton Hall. 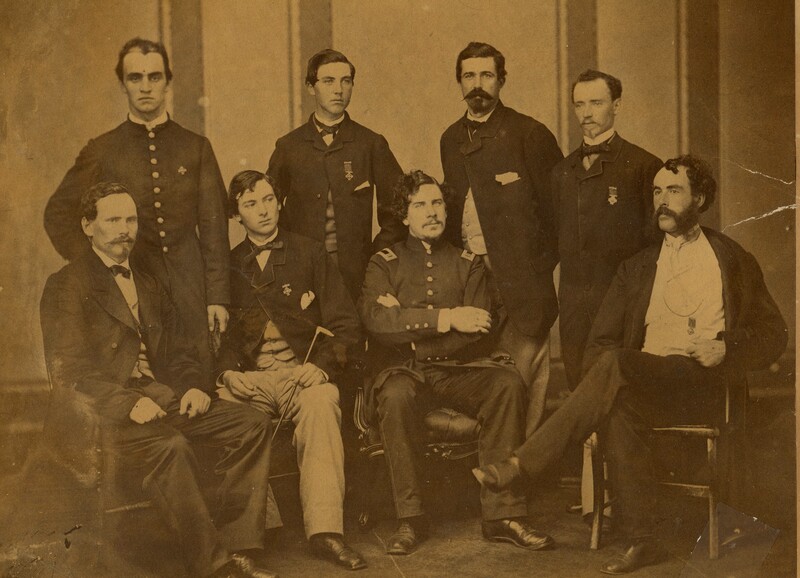 In the fall of 1885 a cadet corps was introduced under commandant Lieutenant Herbert G. Squires who served with the U.S. Seventh Calvary. 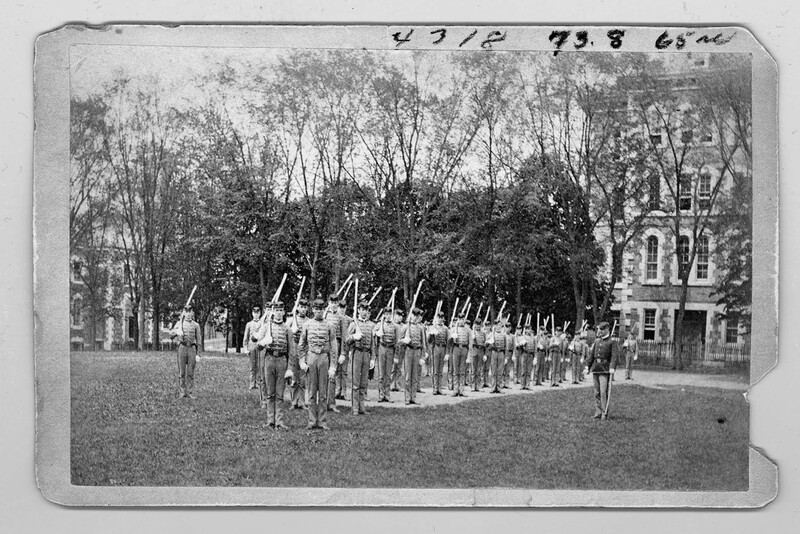 By 1890 the cadet corps was well established and all the students were required to participate three hours a week in military drills. 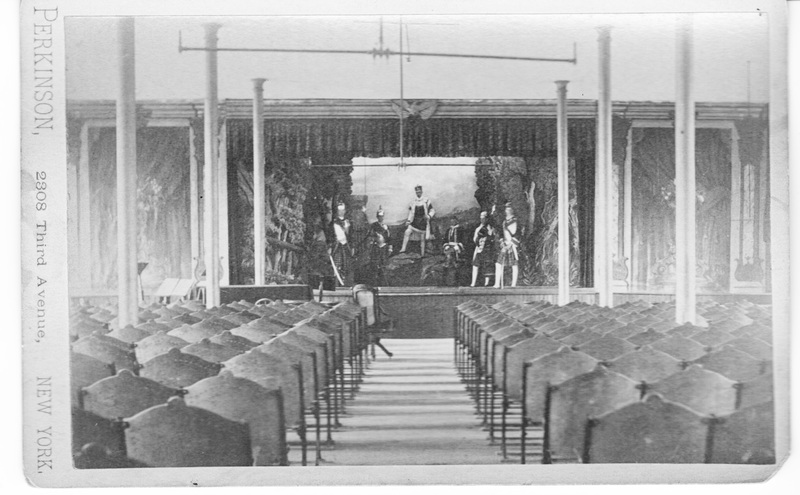 Charles Melton Walcot Jr., founded the St. John’s Dramatic Society, today known as the Mimes and Mummers, the oldest club on campus. 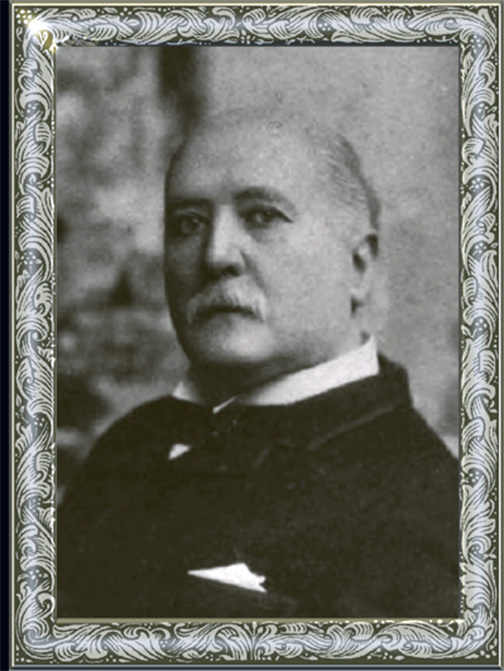 Charles was born in Boston on July 1, 1840 to English-born Charles Melton Walcot Sr. and Anne Powell Walcot who had established themselves on the American theater scene. While his father was achieving wide success on stages, Charles, Jr., was boarding at St. John’s College in Fordham, New York. He began his Rose Hill career in what was called Second Division — the school known today as Fordham Prep. 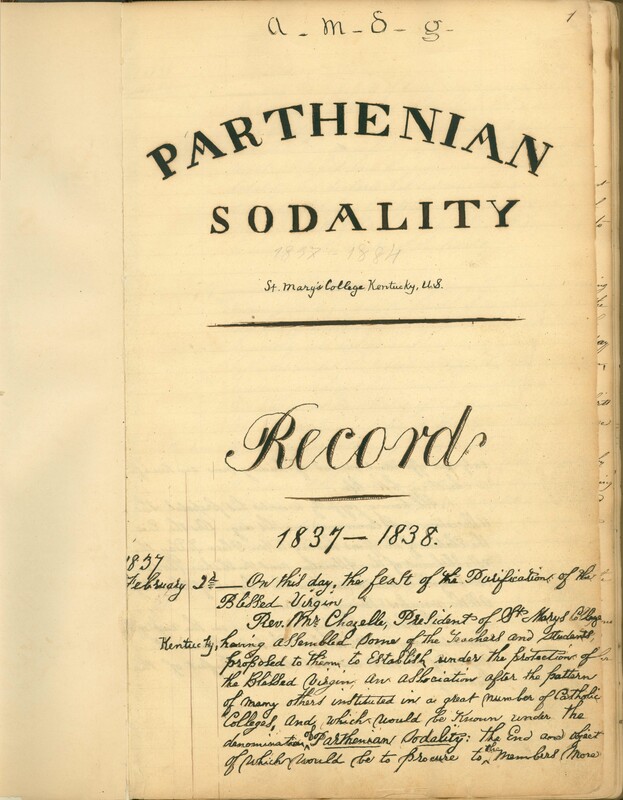 The Sodalities were associations composed of students who practiced devotions in their daily lives. 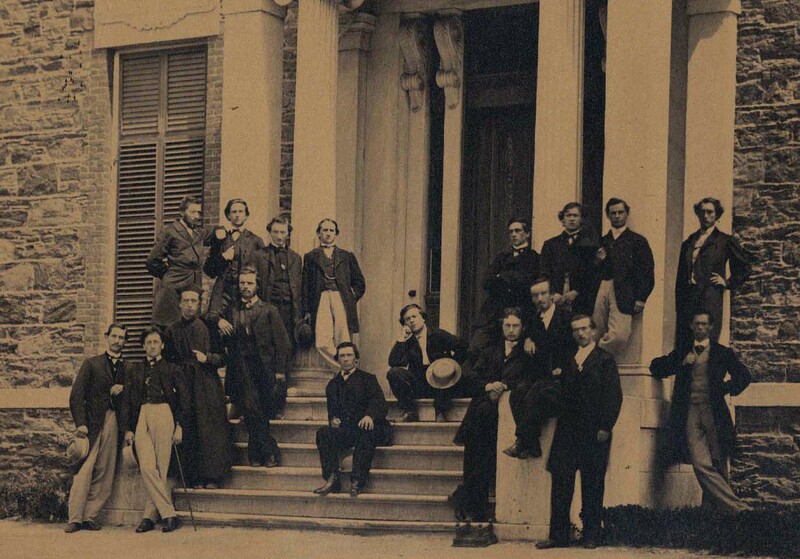 The earliest dates back to 1837 when the Jesuits were at St. Mary's College in Kentucky. Commencement ceremonies on St John's Day, June 24, were combined with the celebration of the 50th anniversary. 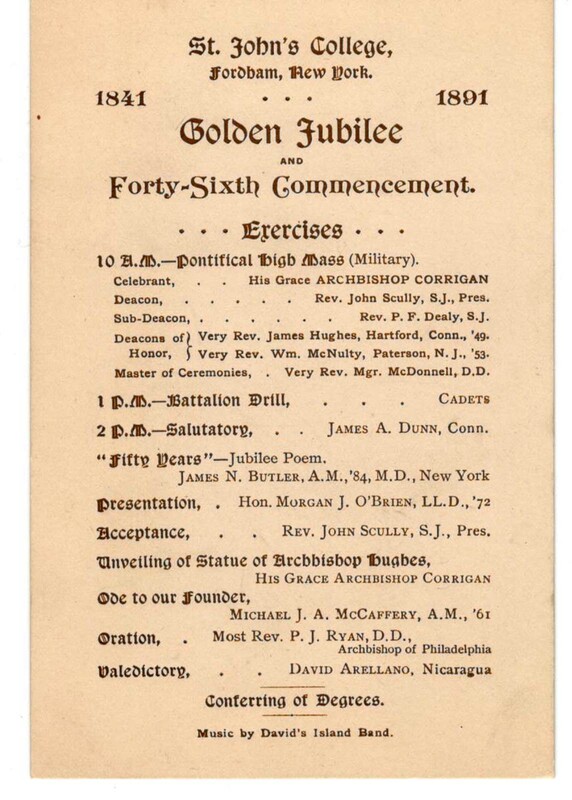 Archbishop Corrigan offered a Pontifical Military Mass, followed by numerous speeches and the reading of a 30 stanza poem written by James Butler, Class of 1884, who would become the first Dean of the School of Medicine. 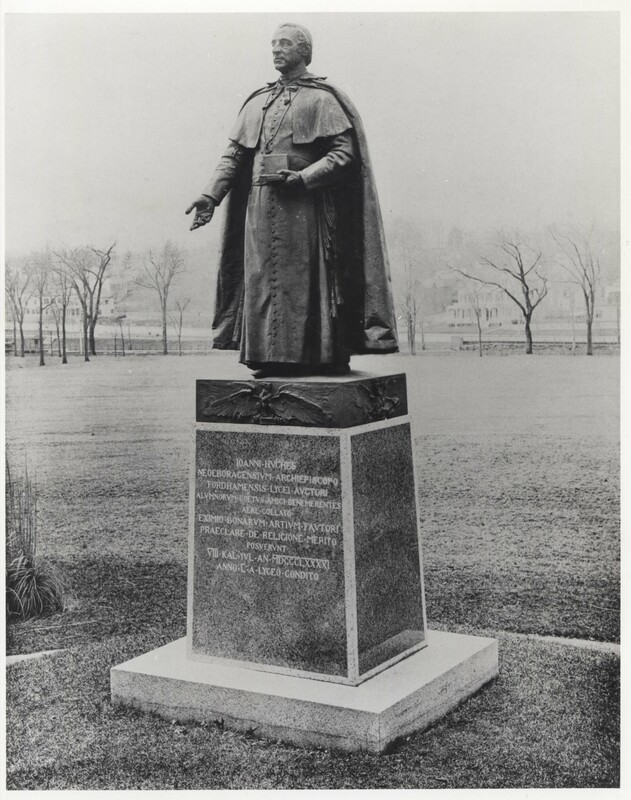 The highlight was the unveiling of the statue of Archbishop John Hughes, sculpted by William Rudolf O'Donnell, and paid for with funds donated by alumni and friends of the college. 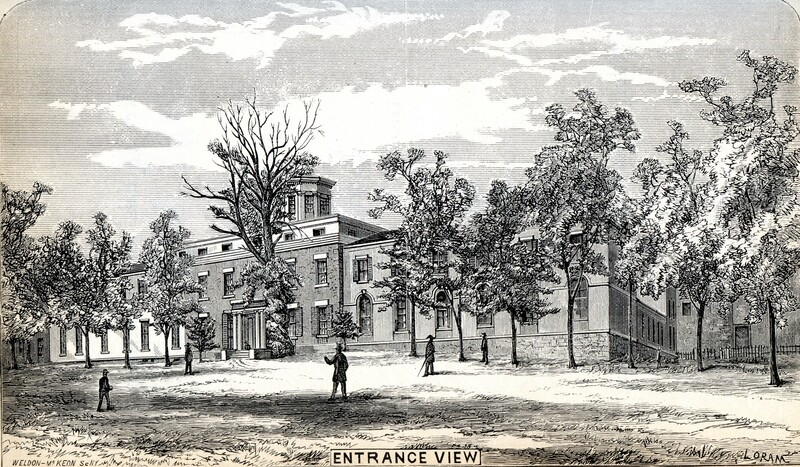 In connection with the anniversary, the first history of the college was published by Thomas Gaffney, "A History of St. John's College, Fordham, N.Y."